Since the untimely passing of Prince, there has been a renewed interest in his rich cultural legacy. Many musicians and collaborators will speak about his astonishing musical contributions to the world, but there is another part of the Prince story that is not as well known. Prince was a fierce advocate for artists’ rights. He saw injustices against musicians being carried out by corporations that treated their art as meaningless commodities to be bought and sold, and he spoke out against it whenever he could. With the spread of the internet in the mid-90s, Prince saw a path forward that could completely circumvent the established distribution channels that had been monopolized by these corporate structures for decades. It was during this time that he had begun experimenting with selling music online, first as independently manufactured CDs, then later in pure digital form. 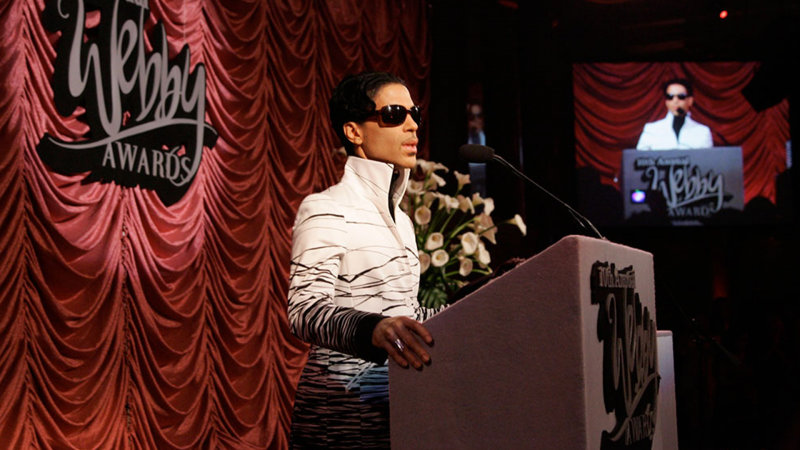 With the launch of the NPG Music Club in 2001, Prince firmly established that an artist-owned online distribution business can be successful and can build that connection between an artist and his audience without a middleman. This is what freedom sounds like. This online Museum has over a dozen of Prince’s most popular sites, but over 20 years online, Prince launched nearly 20 different websites, maintained a dozen different social media presences, participated in countless online chats, and directly connected with fans all around the world. This Museum is an archive of that work and a reminder of everything he accomplished as an independent artist with the support of his vibrant and dedicated online community. The Prince Online Museum was built by the people who worked directly with Prince on these projects. We are the originators; we are the experts. It is a labor of love; no money has been exchanged. There will be no downloads sold and no membership fees required. But we do have working versions of almost all of Prince’s official websites. Take a virtual walk through the timeline and remember when anything was possible. Disclaimer: The Estate of Prince Rogers Nelson is not affiliated, associated, or connected with the Prince Online Museum, nor has it endorsed or sponsored the Prince Online Museum. Further, the Estate of Prince Rogers Nelson has not licensed any of its intellectual property to the owners of the Prince Online Museum. Regarding the disclaimer: This site does not claim ownership of any of Prince’s images, music or videos. This is an all volunteer project, and there is nothing being sold, no money being collected in any way, or any downloadable music being distributed. Everything presented here is for display, archival and review purposes in a preservation capacity. We would love the opportunity to partner with The Estate of Prince Rogers Nelson to make this an official site that is in alignment with their plans and intentions. We sincerely hope an agreement can be reached.